Every skill level is welcome! 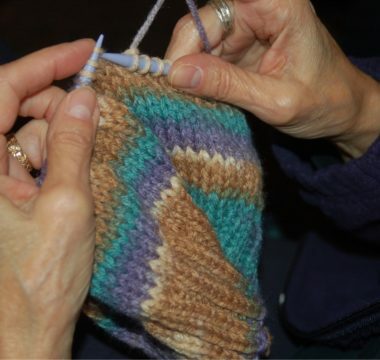 Knit Together exists to encourage and serve the body of Christ through knitting and crocheting. Whether you are an expert with needles or would like to learn the craft, all are welcome to join us. For those interested in service projects, there is a Newborn Baby Hat Ministry as well as a Prayer Shawl Ministry. Prayer Shawls are given to individuals who are grieving or suffering from an illness. For more information, contact knittogether@chapelstreetchurch.com. For more information on Chapelstreet Women events, click on the calendar date you are interested in.